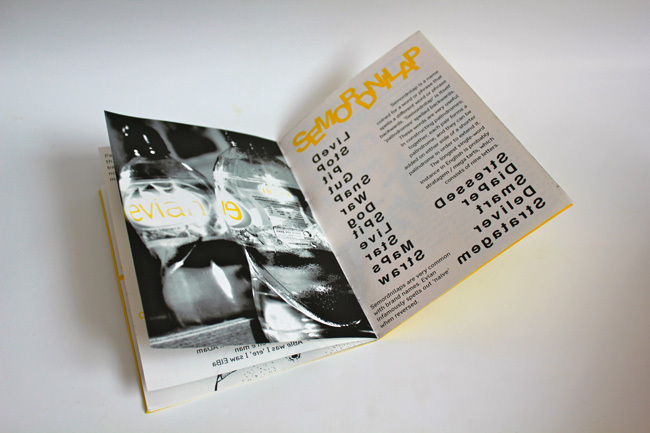 The brief was to create a 16 page (including front and back covers) ‘zine based on the theme of ‘double’. 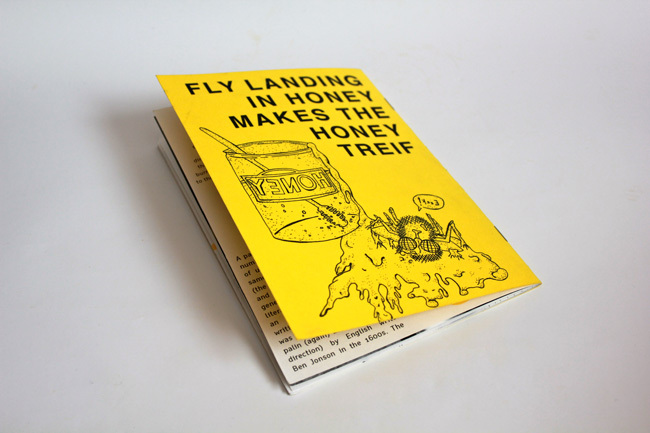 It must include Photography, Illustration and Typography, and be black and white plus one colour only. 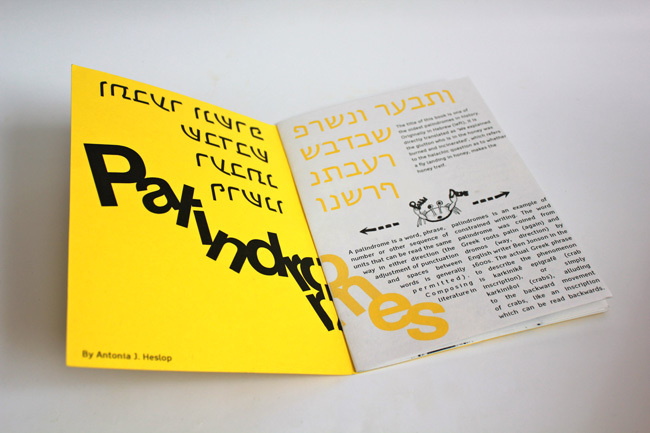 I chose to create my ‘zine on the theme of palindromes. A palindrome is a word, phrase or sequence of symbols, whose meaning is interpreted the same forwards and backwards. 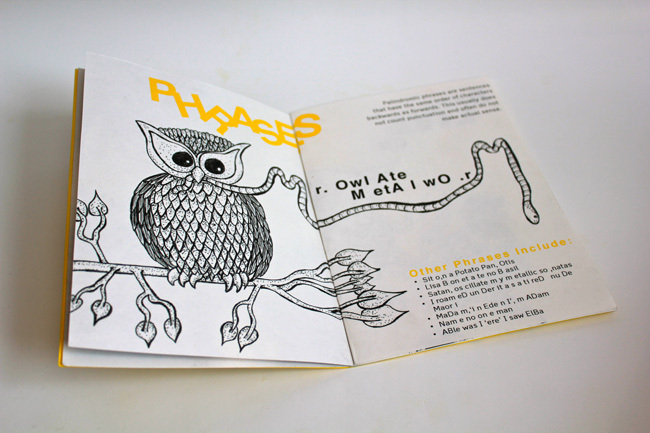 I made the ‘zine into a palindrome itself, so that it could be read backwards the same as it could be read forwards. 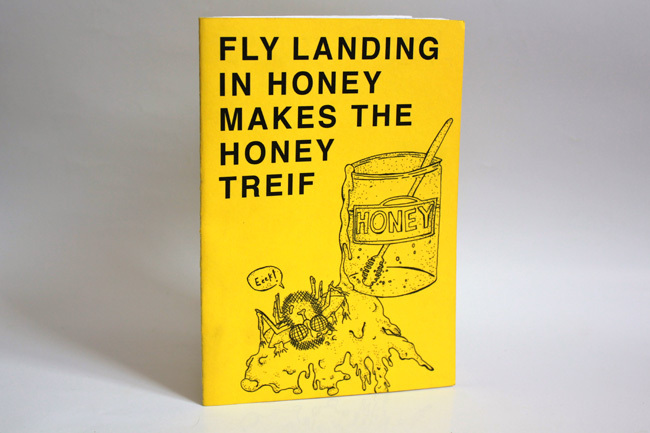 ‘Fly landing in honey makes the honey treif’ is one of the oldest palindromes when written in Hebrew. So I thought it would make an appropriate title.